Since I was a small child, I grew up surrounded by books. My parents inculcated the love of books in me because they both loved to read. My father, a career teacher has always had a personal book library and as a child, I would go there and pick up books I could hardly read, but was happy enough to “read” the pictures in them. He also bought us educational books where we learnt things we were not taught in school. My mum always brought us children’s books. That is where I learnt many nursery rhymes and read so many other beloved classic children’s stories which I would read over and over again. I have not lost the love of reading and prefer to curl up with a good book as opposed to watching television or movies. In fact, I was so amused some time back when my small sister and I were looking through a list of movies we had both watched and we joked that I had read most of the movies as opposed to watching them! I stumbled upon e-books a few years back quite by chance when I was researching for an academic paper. I had read “Uncle Tom’s Cabin” as a simplified children’s book but always wanted to read the original version. I wondered if I could get old classic novels in electronic version, so I Googled it and to my surprise, found an old version of the novel that had been scanned. I read it with relish and have never looked back. 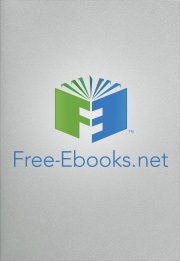 I have downloaded many classic e-books I have read before as paperbacks and hard cover versions since then and continue to download many more from Free-eBooks.net. I have a folder in my PC where I store my e-books. It is a library I cherish. From reading, I have been to many wonderful places I have never visited; know about other cultures and information that gives me something to talk about when in a crowd of people I have met for the first time. It has also helped me professionally. I look forward to receiving my weekly e-books from Free -eBooks.net, because I know I will have something to keep me engaged, entertained and educated all at the same time. Thanks for reading. Find more similar entries filed under Books or visit the blog homepage for more great content from your friends at Free-eBooks.net.